When you think of lavender, beautiful shades of blue and purple come to mind. As you breathe deep, its aromatic floral effects and sedative qualities lull you to sleep on a sea of tranquility. The benefits of lavender essential oil are far reaching. It was first documented being used 2,500 years ago by ancient Egyptians, Greeks, Romans, and the people of Arabia. Ancient Egyptians used it as a perfume to beautify the living, but they also used it as a way to honor their dead. They used lavender dipped shrouds in the mummification process. 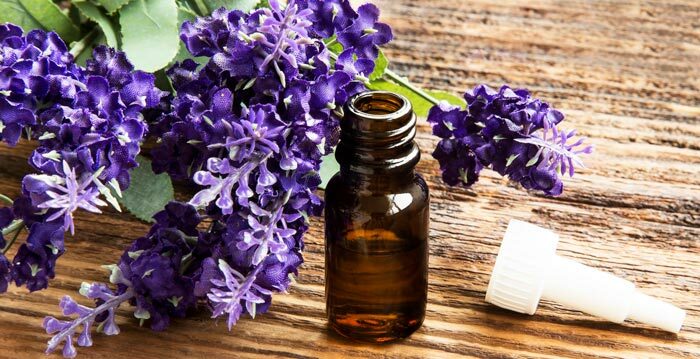 The ancient Greeks believed essential lavender oil to be a cure all. They used it to treat everything from muscle aches to insomnia. The Romans recognized lavender’s aromatic qualities, using it to scent their baths and to spice their meals. Today, the qualities of this multifaceted oil are as relevant as ever. Its healing properties are being rediscovered by a new generation. Lavender can help heal both the mental and physical ailments of its users. Its aroma-therapeutic qualities help to create a relaxing ambiance. With all of the ways that lavender essential oil can increase your overall well-being, no medicine cabinet or bath should be without it. Lavender oil is derived from the flowers of the lavender plant. The oil is typically extracted via steam distillation. It should not be confused with Lavendin oil, which has different properties. The soothing scent of lavender oil helps to greatly reduce stress, anxiety, and improve mood. Unlike its pharmaceutical counterparts, such as Prozac, lavender oil does not elicit unwanted side effects. Studies have shown that implementing a lavender essential oil aromatherapy into your mental health care routine helps alleviate depression, anxiety (link to internal article), moodiness, and post-traumatic stress disorder. To experience to healing effects of lavender oil, you can rub the oil behind your ears or put the oil into a diffuser. You can prolong the benefits by using a diffuser to slowly mist the healing aromas into the air while you are settling down for the evening. An Epsom salt and lavender bath before bed is a wonderful way to relax and stabilize your mood before bedtime, preparing your mind and body for sleep. By simply rubbing three drops of lavender oil in your cupped palms and then deeply breathing in the scent, the scent is drawn into the amygdala portion of your brain. The amygdala is responsible for the emotional response center. By breathing in this gentle aroma, your mind signals the rest of your body to calm down, helping to you to prepare for deep sleep. If you want to extend the soothing effects of lavender and improve the overall quality of your sleep, dab a bit on your temples, chest, neck, or simply rub some on your pillow. 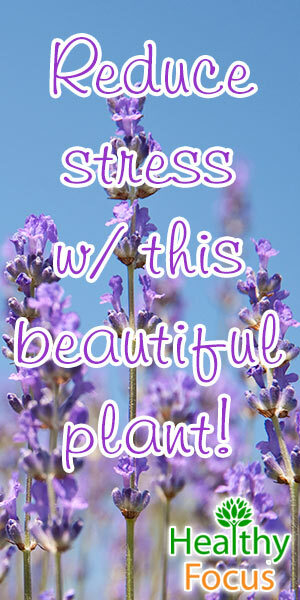 Inhaling lavender oil has shown to be a great natural alternative for treating tension headaches and migraines. By inhaling lavender oil for 15 minutes, you can treat your headache without having to resort to aspirin, ibuprofen or Tylenol. All of which are harmful to your liver and stomach. The most effective way to treat your headache with lavender oil is by rubbing a couple drops on your temples, the back of your neck, and the sides of your forehead. Lavender works well for ordinary headaches but there is also evidence that it can be effective in treating more serious migraine headaches. This is great news for those of us who are afflicted by regular migraines. A study published in 2012 involving 47 patients who suffered from regular migraines either treated the subjects with a placebo or a lavender essential oil inhalation for 15 minutes. Patients were asked to record the severity of their migraines for a 2 hour period. If you are prone to motion sickness pre-treat it with lavender oil! Before a long car trip or traveling by boat rub a bit of lavender oil on the temples or behind your ears. This will help alleviate the nauseating effects of motion sickness. Some people even find it helpful to spray lavender oil on their clothes to help soothe an upset stomach. For centuries, lavender has been known for its antibacterial qualities. The word lavender is derived from the Latin word Lavare, which means, “to wash.” Lavender oil helps to speed the healing of cuts, scrapes, burns, and wounds. While lavender oil is hard at work cleaning and healing your wounds, it is also working double duty to help reduce redness and swelling. The use of lavender essential oil for minor burns goes back to the 1900s when Mr. Rene Gattefosse, a scientist researching essential oils burned himself in the lab. According to the tale, he immediately plunged his arm into a vat of lavender oil and noted that his arm healed quickly without any signs of scaring or infection. Of course, if your burns are severe, you should go straight to the doctor but for minor burns that you get from cooking or touching a hot object, lavender essential oil is a natural and effective treatment. It can help soothe the pain from the burn itself and because of its antibacterial properties can also help prevent infection from developing. If you suffer from a burn, you should first run cold water over it for between 5 and 10 minutes at which point you can apply your lavender essential oil directly to the affected area. Keep applying lavender oil to the area 2 or 3 times each day until the burn has healed. Helps to soothe achy muscles, sprains, and rheumatism. By getting a massage with lavender oil, you can help improve backache and get natural relief from sore joints. Many people have found that adding lavender oil to their bath improves blood circulation. This benefit helps to lower blood pressure, increases levels of oxygenation of organs, and promotes muscle strength and health. By improving blood circulation, this also gives your skin a healthy and bright appearance. Due to its antimicrobial and antiseptic properties, using lavender oil is incredibly beneficial to your skin. Lavender oil can be used to treat acne, eczema, psoriasis, and will help alleviate the symptoms of a terrible sunburn. Using lavender oil is also a great way to turn back the clock and help eliminate age and sun spots. Millions of people around the world suffer from acne and it is not limited to young adults. It is typically caused by bacteria, clogged pores and the excessive production of skin but other factors like hormones, diet and stress can also cause a breakout. Essential oils like lavender are an excellent safe remedy for acne because not only do they help cleanse the skin of bacteria and soothe inflammation but they also reduce levels of stress which are linked to acne breakouts. Lavender essential oil can have a profound benefit for the health of your skin because of its antioxidant and antimicrobial properties as well as its proven ability to fight stress and anxiety. To treat stress, you can inhale your lavender oil from the bottle or a diffuser; alternatively try rubbing a few drops into your temples and neck. You can of course treat the affected skin directly by applying your lavender oil topically to the affected areas. While lavender is one of the few essential oils that can be applied ‘neat’ it is still advisable to dilute it with water or a carrier oil to reduce the risk of reaction. As I get older, I find that my feet ache more than they used to especially after my regular evening runs. Getting that soreness out of my feet and ankles is important to ensure that I can continue to exercise the next day. I am sure that plenty of you also suffer from aching feet either as a result of a busy work day or from exercise. Lavender essential oil is just one of many excellent essential oil remedies that will help soothe and relax your aching feet ready for the following day. It also has the added bonus of helping your feet smell great. To treat your aching tootsies, either add a few drops of lavender essential oil to a warm foot bath or massage your oil into your feet each night before bed. Bronchitis is a very common condition caused by an inflammation of the mucous membranes in the bronchial tubes. It can either be caused by a bacteria or viral infections with viral infections being more common. A number of essential oils can be put to very effective use to treat bronchitis including lavender. Lavender is one of the most effective oils for bronchitis because of its excellent anti-inflammatory and antibacterial qualities. It is also an excellent analgesic that can help ease any pain you may be suffering. Is probably the most effective method of treating acute episodes of bronchitis. Fill up a sink or bowl with very hot water then add 5 or 6 drops of lavender oil or combine it with tea tree and eucalyptus oil. Lean over the sink being careful not to scald yourself and cover your upper body in a towel. Inhale the soothing vapors for at least 5 minutes or for as long as you can cope with the heat. Are another effective way of treating the complaint. Blend 4 drops of lavender oil with an equal amount of eucalyptus or peppermint oil and dilute it with 2 teaspoons of a suitable carrier oil. Massage the mixture into your back and chest each evening before bed. The smell of lavender oil may be appealing to humans, however many types of parasitic bugs such as mosquitos may disagree. Applying lavender oil to exposed skin serves as a deterrent to insects, preventing you from getting irritating bug bites. Additionally, if you are looking for relief from your bug bites, the anti-inflammatory properties of lavender oil will decrease the pain and irritation associated with bug bites. Sometimes it is not always easy maintaining a luxurious mane as there are internal and external forces threatening the health of your hair. Lavender oil can make this battle a little bit easier. Using lavender oil has been shown as a powerful and natural alternative solution to eradicating lice and nits. Those who suffer from alopecia, an autoimmune disease that attacks the body’s own hair follicles, have found that applying lavender oil to the scalp helps stimulate hair growth. For those who are horrified by the snowy flakes of dandruff dusting their shoulders can also find relief from lavender oil. There are so many homemade products that you can make with lavender essential oil either for your own home use or as a special and unique gift. One excellent and easy to make recipe is this lavender and coconut milk shampoo. READ Why Do I Keep Getting Sick? Combine your ingredients in some kind of jar or even an old shampoo bottle and shake it up well. Pour it into an attractive bottle if you are using it as a gift. You can use it for 3-5 weeks but shake it well before each use. You only need a teaspoon or so each time you wash your hair. If you don’t like the idea of spraying synthetic chemicals on your body for the sake of beauty, rubbing lavender oil into your skin is a great natural alternative. If you want a more subtle scent, you can dilute the oil with water before applying it to the desired area. If you suffer from dark circles around the eyes, especially early in the morning or after a heavy night out then simply applying very cold water to the eyes will go a long way to improving their appearance. In order to really diminish any puffiness or dark circles, you will need to stimulate blood circulation and tighten the skin. Lavender oil does a great job at tightening the skin and also improving circulation and generally improving the appearance of your skin. Simply apply a few drops of lavender oil to the affected areas in the morning but be careful not to make contact with the eye itself. Lavender oil is a great and natural way to heal chapped or sunburned lips. You can prevent getting sunburn on your lips by mixing lavender oil with cocoa nut butter, jojoba oil, or shea butter and then apply directly to your lips. Can Children use Lavender Oil? When it comes to using essential oils on your children, there is a great deal of conflicting evidence out there. One of the main reasons is that the safety of essential oils in general has not been tested on children for obvious ethical reasons. Lavender essential oil however is considered to be one of the most gentle and diverse of the essential oils and is generally considered to be absolutely safe for use with children so long as you are careful. It is certainly an excellent option for diffusing when your children are suffering from a sore throat or having difficulties sleeping. You can also apply it topically to your children to help deal with a range of health issues like minor wounds, rashes and insect bites. Although lavender oil is considered to be safe when used neat, I would recommend diluting it in a carrier oil before applying it topically to your children and performing a patch test to ensure that they are not allergic to it. Generally, using lavender oil is safe for most people. Talk to you doctor if you are taking other medications. In addition, take caution using lavender oil if pregnant or nursing. When you buy Lavender essential oil, make sure to buy 100% pure oil from a reputable brand. I have seen a few oils on amazon that are significantly cheaper than other brands but are likely fake. Dr. Pappas Facebook page. Dr. Pappas will not come out and trash or promote brands himself. He does testing for the consumer. However, on his page, there are typically many good discussions going on and you can find the brands that other people have consistently tested as legit.